Aurora’s adventure today was deciding that the back yard — all of it — is part of her domain. 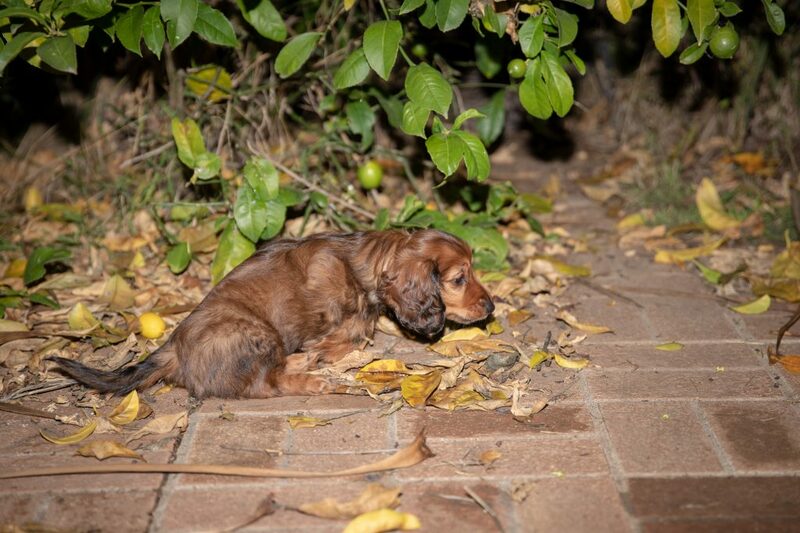 She’s been pretty bold for a while about wandering all over the bricks and going back to the lemon tree to sniff and chew. 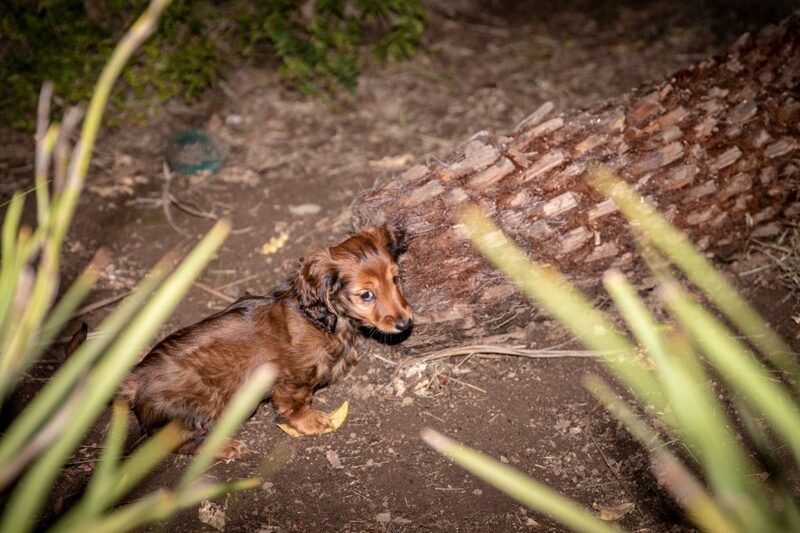 This evening, Aurora took the path between the bushes and went out to the Outback! Of course I went with her, looked ahead to make sure that there were no evil predators lurking around, and generally did nervous parental things. For her part, Aurora was fearless and happy. Ha Ha Ha Ha! You understand the parental worry thing, at least in part! Imagine my overblown parental worry thing after working where I did!